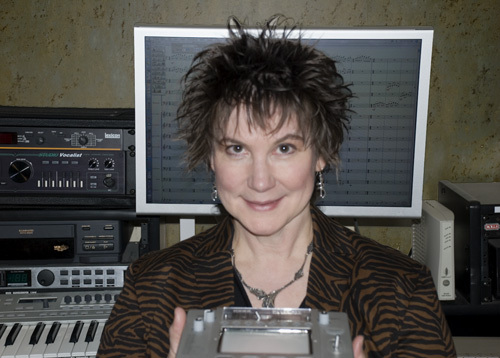 Associate Professor of Music Technology, Lynn Emberg Purse, will have a world premiere performance of her new work, Watershed, by the Duquesne Symphony Orchestra featuring cellist, Adam Liu on February 20, 2018. Watershed is part of the larger long-term work – A Year in Penn's Woods – which is a mix of different kinds of musical and multi-media pieces that focus on the habitats and ecological systems of Western Pennsylvania. A concept that Purse developed on her last sabbatical, she has made presentations at national music conferences and locally at the Phipps, including a short video shot in North Park entitled Autumn Equinox. That video would later serve as inspiration for the "Sunrise on Still Water" movement of Watershed. Watershed was supported by a Duquesne University Presidential Scholarship Award in 2017. After the premiere performance, the piece will be recorded with DSO, Adam Liu, and conductor Daniel Meyer in The Dr. Thomas D. Pappert Center for Performance and Innovation by faculty audio engineer Jay Dudt and released on the Three Oranges label. In addition, find out more about Lynn Emberg Purse on her faculty profile page.